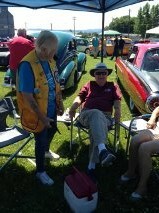 Fifteen of our club members displayed their classic cars on Saturday, June 20, at the Elgin Riverfest Car Show. 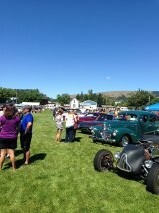 At least four of our member’s cars received awards; however, everyone had a great time visiting and enjoying all the great cars at the show. 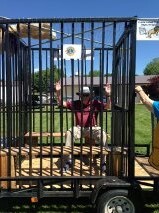 The group decided to place John in jail all for a small donation to the Elgin Lion’s Club; however, John had to pay an additional donation to be released!!!! To bad we couldn’t have left him there!!!!! !